What do you mean by tissues? 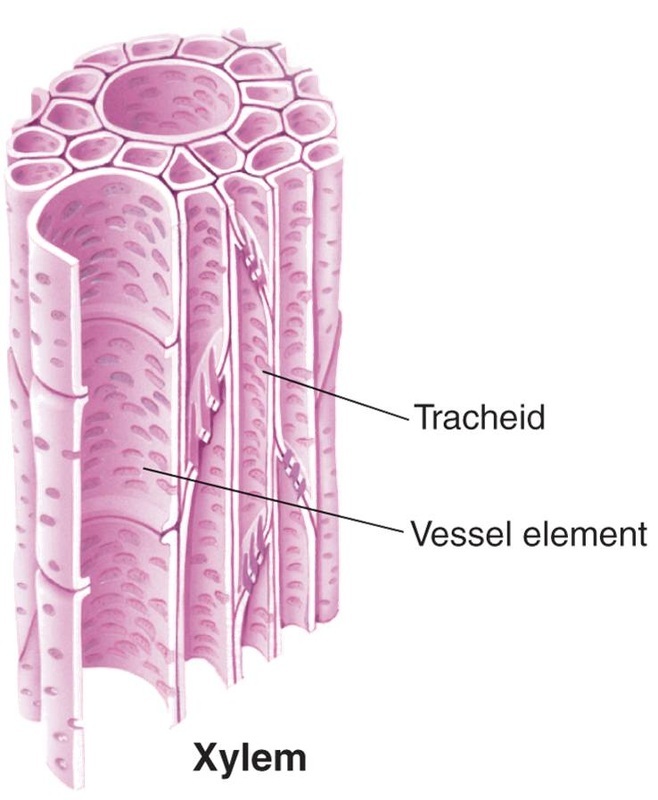 A group of cells with similar origin, structure and function is called tissue. 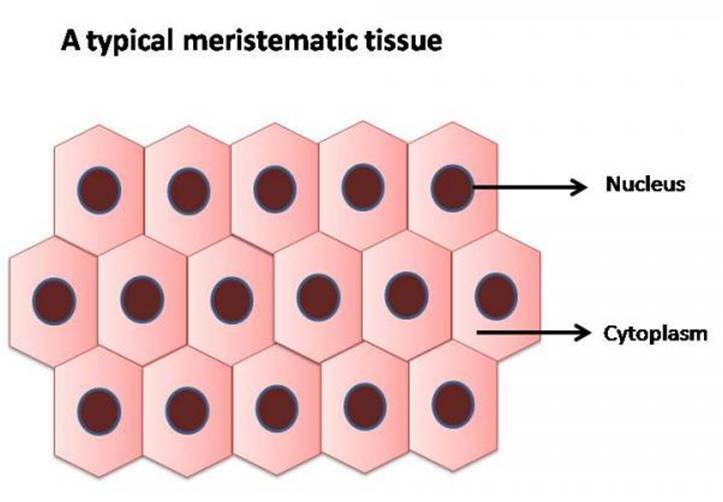 Meristematic tissue may be defined as a group of living cells which are located at specific location and divide continuously to add new cells to the plant body. Cells are small and isodiametric. 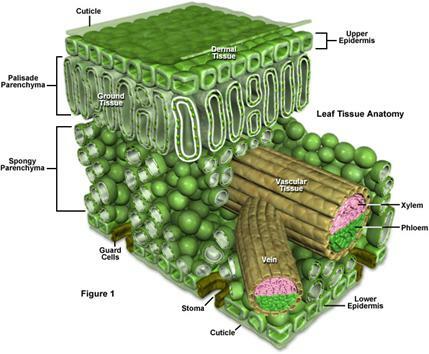 The cell wall is thin and made up of cellulose. Vacuoles are absent and if present, very few. Metabolic activities are at high rate. The meristem where foundation of new organs or of their part is laid down is called promeristem. They occupy very small area at the tips of stem and root. It differentiates into primary meristem. Remains meristematic from the embryonic condition throughout entire plant life at the growing apices of roots, stems, primordial of leaves. It develops from primary permanent tissue. Fascicular vascular cambium, interfascicular cambium and cork-cambium. Responsible for producing the secondary tissues. Position: At the root tip and shoot tip. Function: To increase in length of the axis. Position: On the lateral side of stem and root. Function: To increase in diameter of plant. Position:At the base of the leaf/internodes/ leaf. Function:To increase the length of the plant or its organs. 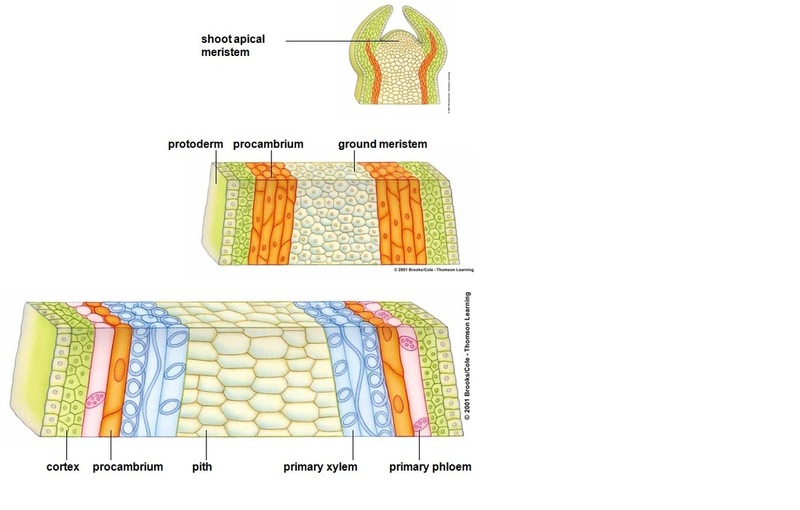 Procambium- Developing into vascular tissue. What do you mean by shoot apex....? Shoot apex is the portion of shoot above the youngest primordium. It is present at the plumular tip or at the end of leaf. It is covered by young leaves and visible on removing them. The apex is dome shaped. 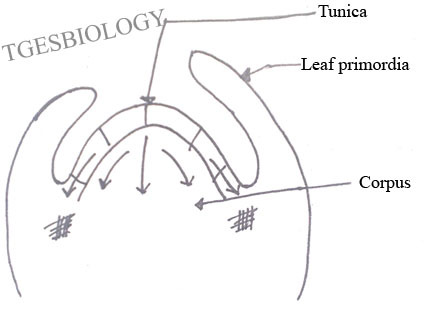 Tunica corpus theory was given for vegetative shoot apex. 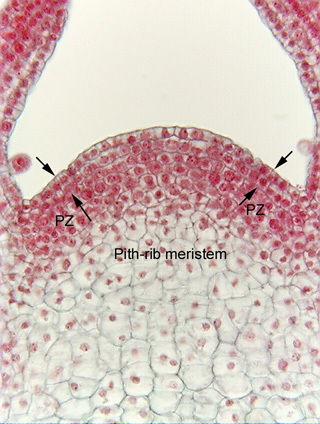 According to this theory, there are two zones of tissues in the apical meristems. The tunica (Tunic = cover) consisting of one or more layers of peripheral layers of cells, and the corpus (corpus = body) a mass of cells enclosed by the tunica. The layers of tunica show anticlinal (perpendicular to periphery) divisions and bring about surface growth. In the corpus, cell division is irregular and at various planes resulting in growth and volume of the mass. Tunica gives rise to epidermis. Corpus gives rise to Cortex/ground tissue. According to this theory, shoot apex has three zones. 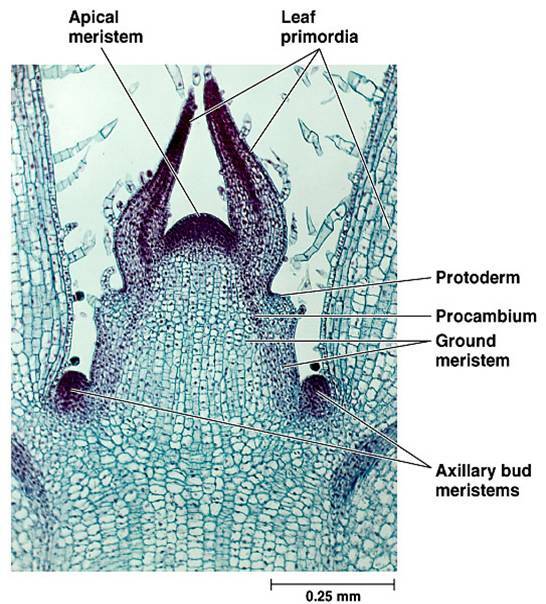 Apical meristem of stem composed of small mass of cells which are all alike and divide fast (meristematic). 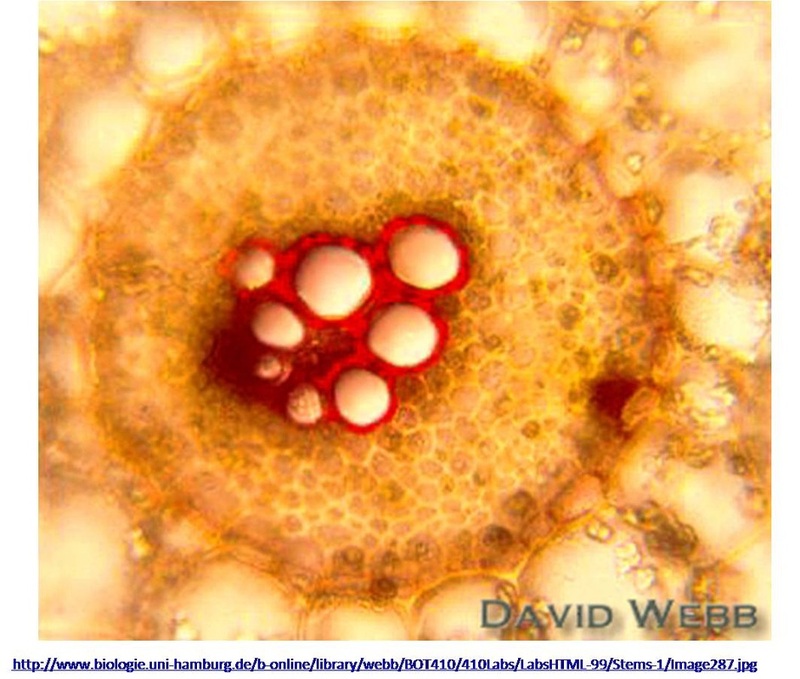 These meristematic cells form promeristem, which differentiate into three zones : dermatogen, periblem and plerome. Every zone consists of a group of initials called a histogen (tissue builder). (i) Dermatogen (Outer layer): Gives rise to epidermis of stems. (ii) Periblem: (Middle layer) Gives rise to cortex and endodermis. 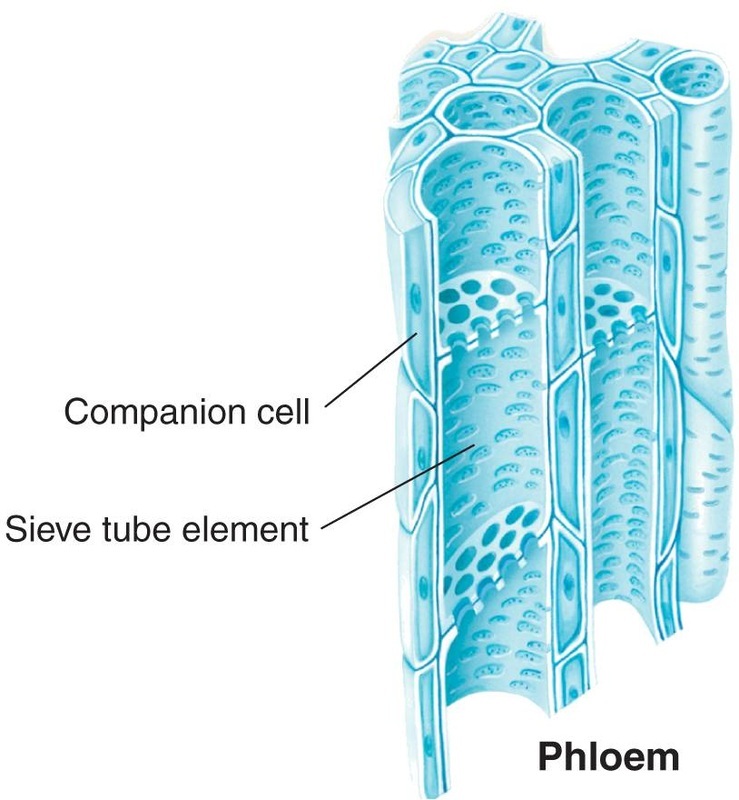 (iii) Plerome: (Inner layer): gives rise to pericycle, pith and vascular tissue. What do you mean by root apex....? 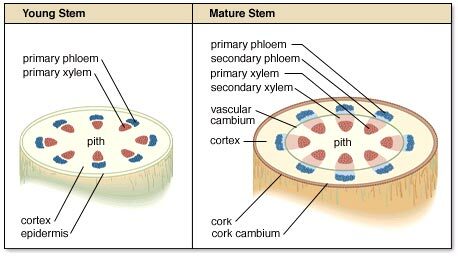 Root apex has simplest organisation as compared to stem. 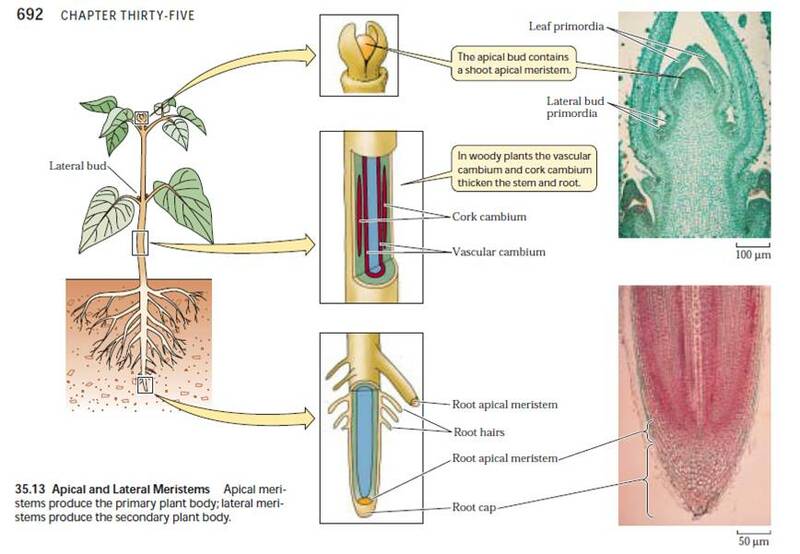 Root apex is sub terminal in position because of terminal position of root cap. 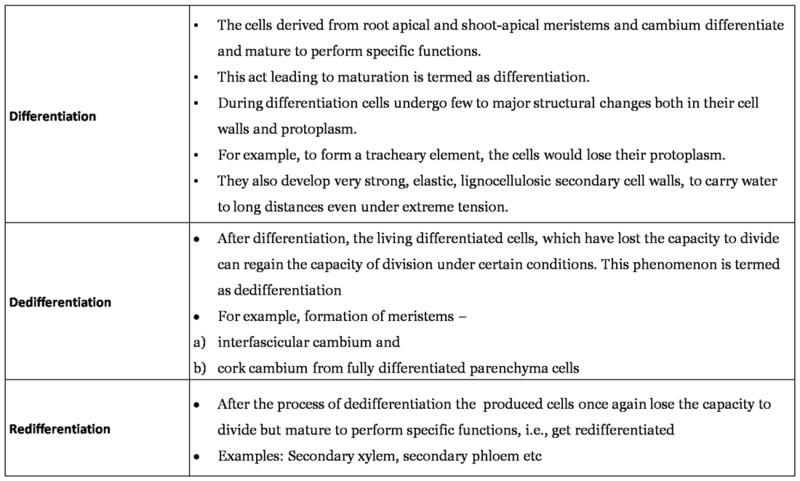 According to this theory, root apex has three zones. 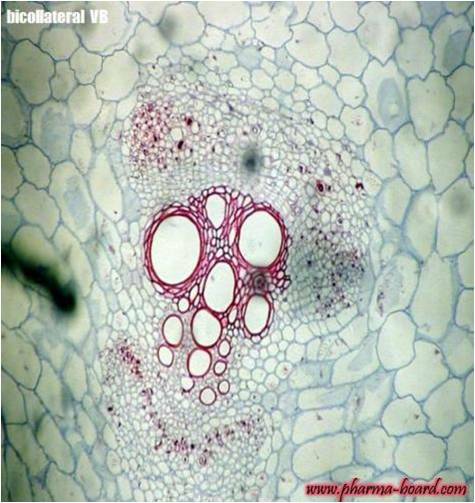 Apical meristem of root composed of small mass of cells which are all alike and divide fast (meristematic). (i) Dermatogen (Outer layer): Gives rise to epiblema of root . The layer of meristematic cells at the apex of a root tip that continually cuts off new cells to its outer edge. These replace the cells of the root cap (calyptra) that are worn away as the root pushes through the soil. Quiescent centre concept given by Clowes (1956) in maize. According to this, there is an inactive centre in the root apex which is called quiescent centre (having low DNA, RNA, protein) and it acts as a reservoir of active initials. 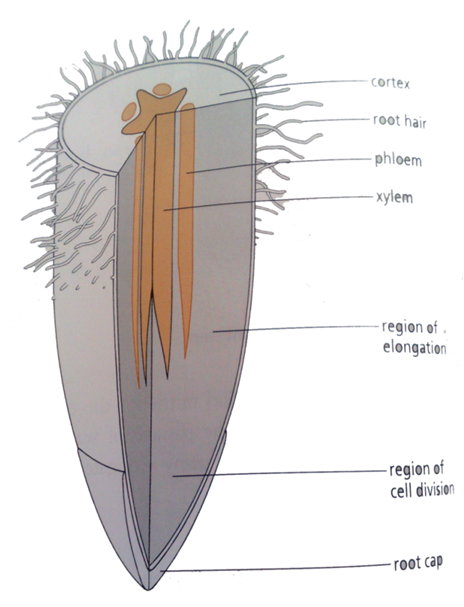 Calyptra: Root cap which protects the root tip. 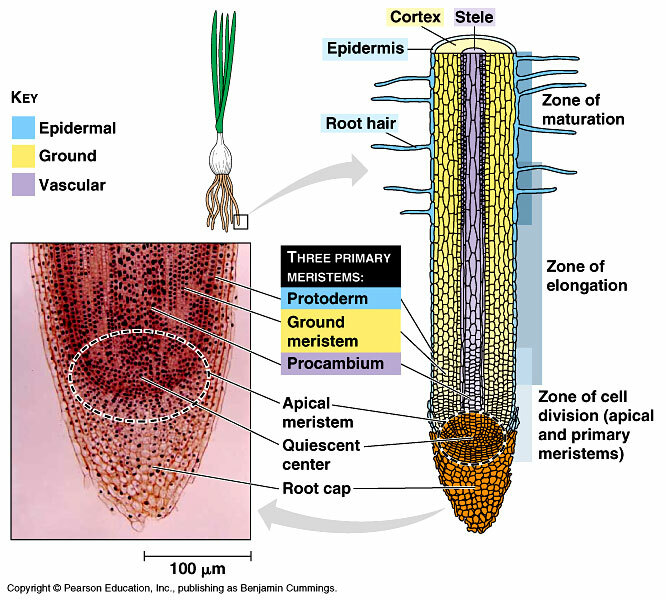 Calyptrogen: Meristematic tissue which produce calyptra/root cap. 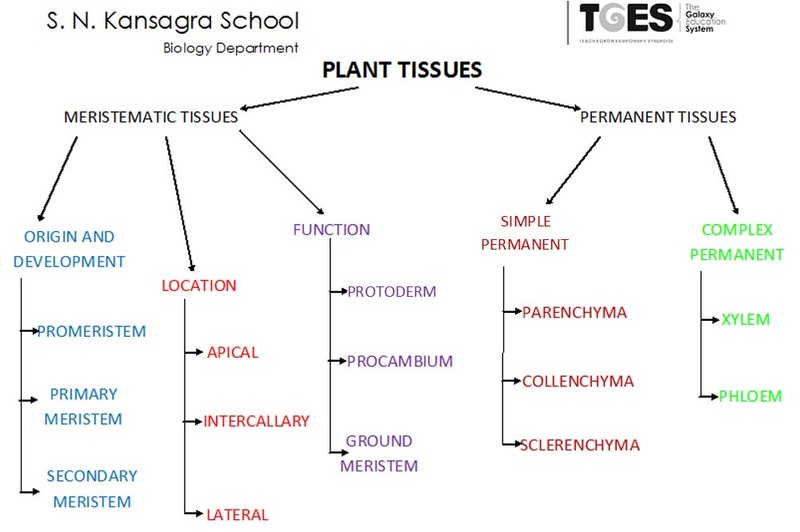 Permanent tissue may be defined as a group of living or dead cells formed by meristematic tissue and have lost their ability to divide and have permanently placed at fixed position in plant body. Occurrence :In different plants parts. 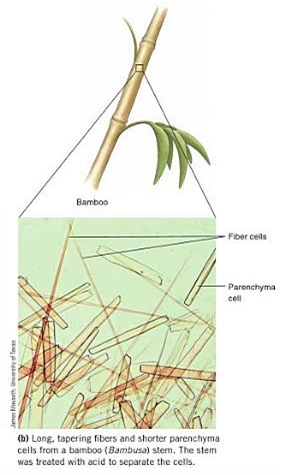 Fibres are long, narrow, thick and lignified cells usually with pointed or blunt ends. In transverse section, they appear rounded or polygonal with a well defined lumen. Provide tensile strength, flexibility and elasticity to plant or plant's parts. C) Originate from meristematic cells. 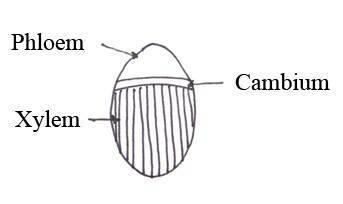 Cells are short, isodiametric, spherical, oval, t shaped or cylindrical in shape. Usually have thick lignified secondary cell wall. Occur single or in loose groups. Protects the plant from stress and strains from environment. Provide mechanical strength and rigidity. Provide grittiness to the pulp of fruits. C) Formed by secondary thickening of parenchyma cells. 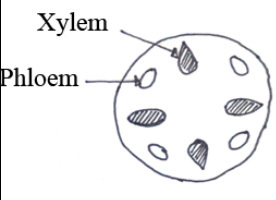 Based on relative position of protoxylem and metaxylem, the xylem is of the following three types. Mesarch: A condition in which metaxylem remain in the centre surrounded all around by the protoxylem. In sieve cells the sieve area are not well differentiated. The sieve cells have no companion cells. These are elongated and quite long with tapering ends. In sieve tubes the sieve area are confined to sieve plates. The sieve tube always have companion cells. They consist of vertical cells placed one above the other. 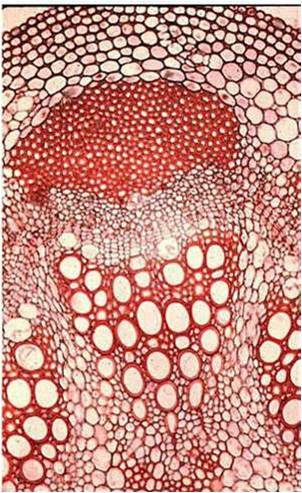 Open vascular bundle: Vascular bundle with cambium. Closed vascular bundle : Vascular bundle without cambium. 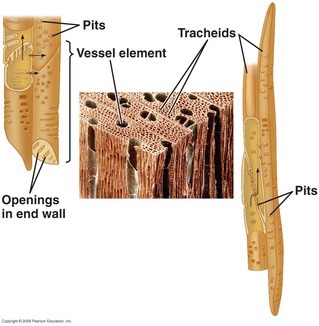 In type of arrangement xylem and phloem form separate bundles alternating with each other i.e. they lie on different radii. This arrangement is the characteristic of root. 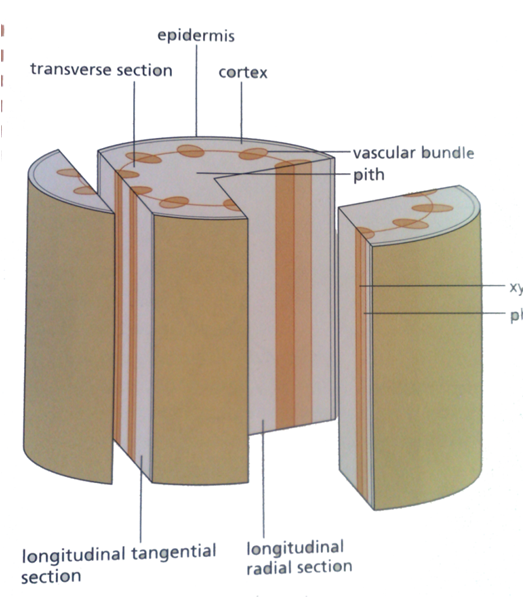 Conjoint: When xylem and phloem are combine into one bundle. 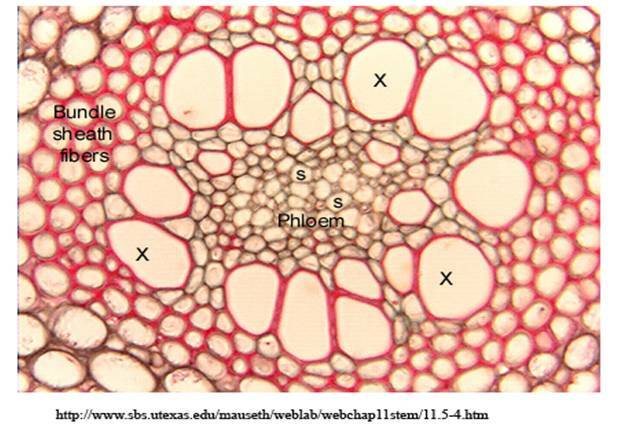 a) Collateral: When xylem and phloem are situated at the same radius of vascular bundles. 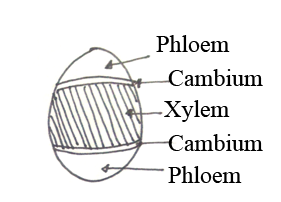 When xylem and phloem arrange concentrically, i.e. one surrounds the other completely.